Is the Chase Sapphire Reserve Worth the $450 Annual Fee? The Chase Sapphire Reserve® is a premium travel rewards card featuring an impressive list of benefits and fetching a hefty $450 annual fee. The card earns 3X points on travel and dining, provides an industry-leading $300 travel credit, a guaranteed 1.5¢ per point redemption value on travel purchased through the Chase Travel Portal, and offers top-tier travel benefits like complimentary lounge access, primary auto-rental insurance, and multiple travel protection policies. A common question we field here on the blog, and in our Facebook community Award Travel 101, is whether the Chase Sapphire Reserve® is worth the $450 annual fee. With the Chase Sapphire Preferred® Card available for an annual fee of $95, at what point does it make sense to pay $450 a year for the Sapphire Reserve? How much do you need to spend on bonus categories to break even? Do you need to use every benefit to make up the out of pocket expense? In this post, we'll strip the equation right back to basics, and help you determine if the Sapphire Reserve is worth the $450 annual fee. How Does the Chase Sapphire Reserve® Measure Up? 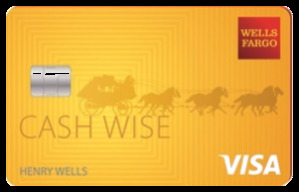 We’ve chosen to use a conservative 1.5¢ per point redemption value for our calculations on the Sapphire Reserve, and 1.25¢ for the Chase Sapphire Preferred® Card. 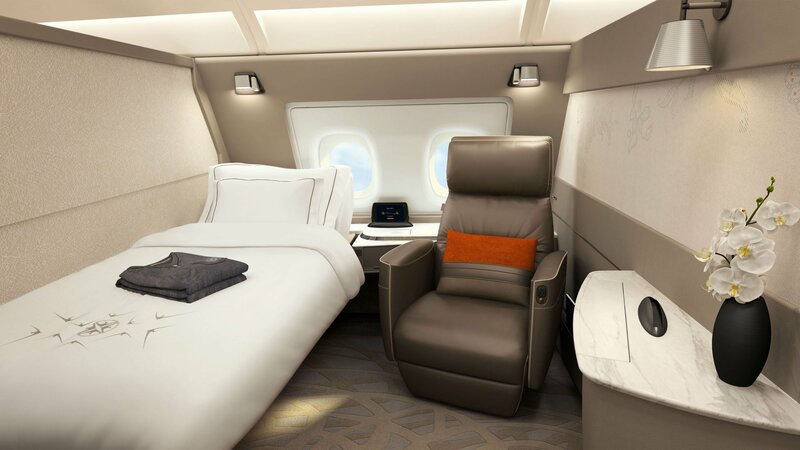 It’s common knowledge you can redeem Ultimate Rewards points for better returns by transferring to travel partners, and booking premium cabin award space or top-tier hotels. You spend at least $300 on travel each year. If you don’t, the Sapphire cards are not for you. The Sapphire Reserve is a premium travel rewards card; if you spend less than $300 per year on travel, there are better cards to suit your needs. If the numbers don’t add up on the Sapphire Reserve, you’ll apply for the Chase Sapphire Preferred® Card. You’ll need either one of these personal Ultimate Rewards earning cards to maximize the value of your Ultimate Rewards. Assuming you spend at least $300 a year on travel ($300 that you would have spent whether you had the card or not), the net cost to hold the Sapphire Reserve is only $150 a year. Deduct the annual fee you'll pay to keep the Sapphire Preferred long-term, and you’re left with a $55 difference in the out of pocket expense. We’ve only included bonus category spend in our equations. There are better credit cards than the Sapphire cards for non-bonus category purchases, including other cards within the Ultimate Rewards family like the Chase Freedom Unlimited®. The Sapphire cards consistently top ‘best card’ lists for travel and dining purchases, and realistically, that would be the vast majority of the time they come out of our wallet. What we’re looking for in this instance, is the breakeven point for the Sapphire Reserve over the Sapphire Preferred; how much do you need to spend in bonus categories to make up the $55 difference to hold the cards? Additionally, we've factored in the $75 you'll pay when you add an authorized user account to the Sapphire Reserve, which blows the difference in cost between the two cards out to $130 per year. Lastly, we've explicitly left the signup bonus out of the calculation here. While the cards carry the same signup bonus, there is additional value with the Sapphire Reserve as those points are worth at least 1.5¢ vs. the 1.25¢ with the Sapphire Preferred, which translates into a $125 positive net value on the Sapphire Reserve. Our focus here is identifying the long-term value of holding one card versus the other. To come out ahead of the net $55 out of pocket expense, you need to spend $2,750 on travel and dining each year to justify the difference in annual fees, the equivalent of $52.88 per week. This doesn’t account for any other benefits such as lounge access, the Global Entry credit, or enhanced insurance offerings. If you value lounge access at $20 per person, then a family of four gets $80 value from the lounge access benefit each time they visit the lounge together, which you can deduct from the out of pocket expense for holding the card before calculating your breakeven spend. When you add an just one authorized user account into the mix, you would need to spend $6,500 a year on travel and dining for the Sapphire Reserve to provide a better return than the Sapphire Preferred, without factoring in other benefits. To sum up, the Sapphire Reserve is a premium travel rewards card. If you won’t use the lounge access or don’t spend a minimum of $2,750 per year on travel and dining, you can achieve better returns from the Sapphire Preferred. Add one or more authorized users into the mix, however, and you need to more than double your spend in bonus categories before the Sapphire Reserve offers a better return. If you visit Priority Pass lounges 3-5 times a year, spending less than $1,000 on travel and dining tips the scales in favor of the Sapphire Reserve. While the card charges a $450 annual fee, the cost to the cardholder is mitigated by the fantastic travel benefits, and massive return on travel and dining spend, making the Sapphire Reserve an excellent option for any normal traveler. Don't forget that if you're leveraging a combination of Ultimate Rewards earning cards, you need to also add in the potential value the Sapphire Reserve provides with the additional .25¢ in minimum guaranteed value for travel on all of the points you earn with the other Ultimate Rewards cards. Nice analysis. The CSR is definitely worth considering, esp if one can utilize the travel credit. Honestly, if you can’t use the travel credit, I’m not quite sure why anyone would even consider this card. The $300 credit is so easy to use — it works for anything that codes as travel (including my airport parking and ezpass statement), and if you’re not generating $300+ in travel expenses a year, you probably shouldn’t be considering any travel rewards cards with an annual fee. You are absolutely correct. If you do volume on this card it is a money (points) maker if you team it up with one of the Chase Freedom cards. I think the Sapphire reserve is worth paying the annual fee! I travel a lot and with sapphire reserve I get better travel and dining benefits! I would gladly keep on paying my annual fee! seems that the sign-up bonus is worth it but not much else after factoring the math. Thank you! Everyone can have their own opinion, but we certainly think it is worth it if you’re spending on travel+dining or have other Ultimate Rewards earning cards. Obviously value varies for everyone, but I do believe it’s worth it for me and many. Love my CSR! It remains my go-to cc. I just upgraded my Sapphire Preferred to the Reserve. I have three authorized users! This is the third 450 dollar annual fee in my wallet and I can already say that I make money on all of them due to my spending and travel patterns. Thanks gorge write up. I think that as long as you use up the credits on the card, it’s well worth keeping. I don’t have an AU on my CSR card, so I need to make sure to spend about $3K or more on the card to make it worth it. The CSR is worth it to me. Considering the $300 travel credit, primary rental car insurance, and Priority Pass membership it is money well spent. Hmmm. I don’t spend enough to make this worthwhile. I hope to get there soon though! The CSR is definitely not for me yet, but hopefully I’ll be able to take advantage of it soon! You can make this card really work for you. Utilize all of the benefits. Wish they still had that huge sign up bonus. For me, the trip insurance is so easy to claim, that it is absolutely worth it. I wish the lounge benefits were as good as Amex Platinum. That would make this card way better than Amex. As usual with these things it’s very individual. What is good for one person may not be good for another, and if you won’t use it often then it’s probably not worth it. I currently have the CSP card but would upgrade to the CSR if it wasn’t for the 5/24 rule. The bennies are definitely worth the AF. this is a good card, although more and more cards are now coming out with premium versions charging $500.00 per year. It makes it tough to decide which cards are work keeping as the fees start adding up on all of these premium cards. Probably downgrading my card (annual fee just posted) and have my wife get it next; we’ll have to see what our plans our after HER first year, since I wouldn’t be eligible for another Sapphire bonus for another year after that. Great analysis. Wish I had been approved when the bonus was 100,000. Still worth it at 50,000. I love the breakdown! It really makes it easy to figure out in the long run if these cards are good for you. If someone even flies once a year, unless they live somewhere where there is always low fares, the Reserve would work. I usually fly to see my family since I don’t live in their state. If the airfare is under $300, I kiss the ground and book it immediately! lol! At some point I know I want the Reserve, however, right now the Preferred fits me better. I spend the $300 easily but don’t really visit lounges enough or have additional users to add really. I find that Alaska is really cheap for first class where I fly and get access to their lounge from that. Would you agree that unless I use the other benefits, even though I spend the $300, that the Preferred would be better right now? I wouldn’t agree unless I knew how much you spent on travel + dining. I’d run the numbers as we did on your own spend and see if it makes sense. Even if you don’t use any of the additional benefits the additional earning (3x vs 2x) and higher redemption value (1.5 vs 1.25 cents/point) may be enough — it is for me. I should get a t shirt with that on it! A discount on CLEAR with lounge access? Sorry, I don’t follow — CLEAR is for expedited security. Unfortunately, I am a 5/24 victim so I can’t get the signup bonus without severely curtailing my signup gambits. But this post convinced me to upgrade my CSP to a CSR. Thanks! The breakdown analysis was very helpful. I was contemplating getting this card but was unsure whether the annual fee is worth it. It all comes down to how much travel you anticipate to make in the year. Is it worth it? One word:yes!! 100% yes. It’s so easy to use the travel credit, and if one travels international at all, it great to have Global Entry, the cost of which is also refunded. This card has a very impressive list of benefits. The travel credit and priority pass alone would be enough to make it work for me. Everything else is just the icing on the cake. Good analysis. It’s easy to get value from this card. The CSR is the core around which I built my entire credit card strategy. Sometimes I wonder if I’ll swap it out of my wallet for an Amex card at some point but I just don’t see it happening. The CSR is a defiant must have card. Helpful post. Just signed up and did my minimum spend for CSR. Moving to get Global Entry, but may be best for me to downgrade after a year. Is there any chance the sign-up bonus for CSR could go back up to 100,000 anytime soon, or will it likely stay at 50,000 at least into the foreseeable future? Any insights? I’d say the chance is .00001%, Chase doesn’t need to increase the bonus for people to sign up. It is a solid card with a 50k bonus that no one can really throw a nose up at. Thanks for your response, Howie. I have the card and I’m still not sure it’s worth it. I come out ahead, but just barely. Didn’t get the Reserve when they had the 100K bonus. Should have and don’t qualify now because of 5/24. Good analysis, but I think the Reserve always makes sense for anyone who should be considering these cards at all. I’d only recommend the Preferred for someone who’s new to points and just can’t get past the $450 sticker price. That is our take for the most part. Something to keep in mind is authorized users, as you’ll pay for them and could have a significant incremental cost if you have several on your account — they’re no cost on the Sapphire Preferred. Do you know if timeshare maintenance fees would classify as Travel? 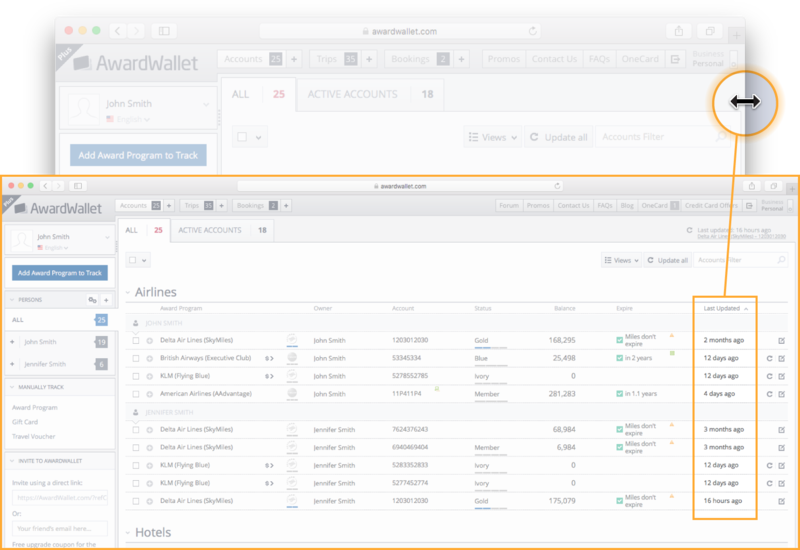 It all depends on how your timeshare provider is coded with its merchant processor. My gut says no, but the only way to tell for sure would be to test it. See if they’ll charge you $10 perhaps? I just searched the code that it is categorized at citicards. It says it is the Lodging – Timeshare category. Sounds like this could qualify toward the $300 travel credit? I would give it a shot if it were me. I’ve come to love my CSR card, despite being fee-phobic. The net fee of $150 (after travel credit) is easily covered by a handful of lounge visits and the extra 0.25c/point when using points for travel. I recently met a couple that have spent the last 10 years continuously traveling overseas. When I asked them for some tips, the first one they offered was “slow down.” The second tip was to get a CSR card. I flashed my card my card and we laughed about it. Howie, it sounds like you spend a lot of time traveling in some pretty pricey seats and suites. Can you share how you do it on an ongoing basis? Even with about a million points on the books, it seems like the hotel awards would eat up my points pretty darn fast. Come on Howie, spill. While I definitely appreciate the breakdown provided in this article, I think it could be really helpful to explicitly outline other ways one could justify the cost, aside from meeting the $2,750 spend in bonus categories. Perhaps creating subheadings for certain behaviors like you did with the spend: For example, the approximate valuation of a PP lounge visit and account for how many visits it would take to justify the cost of the $150 remaining from the annual fee after the travel credit. Maybe the best thing would be a spreadsheet that could account for a combination of different behaviors and would automatically calculate the figures via pre-entered formulas? Unless something like that already exists…? Andrea, great point here. Our comparison was really just the CSP vs CSR — so the net difference is $55 (the CSP annual fee is $95). Perhaps we could look at a tool to compare several cards; something for us to think about. Thank you for your detailed analysis. I am considering the the CSR as my primary card expenses are in travel and dining. You mention the break even point doubles if adding one authorized user, at $6500. I currently charge about $30k annually, of which 12-18K is in travel and dining. I think I know the answer, but could you confirm this card is likely a good move in this case? 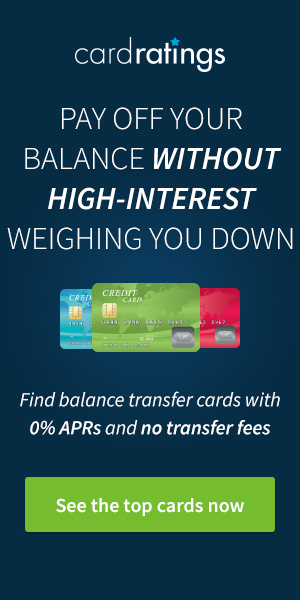 I currently carry a no fee Chase Freedom Unlimited, a $95 United Mileage Plus, and $89 Barclaycard World Elite Plus. If approved for enough credit to replace the Barclaycard credit line, I would likely close it to reduce annual fees. For better or for worse I need to keep the United card as it’s my oldest line, although I know there are better options out there. Because of work I am a heavy United user so am partial to the available point exchange from the CSR. Without wanting to take too much of your time, in a quick estimation is my logic sound here to go with the CSR? BB your logic is sound. I’d use the CSR for all travel + dining and the Freedom Unlimited for everything else to maximize your UR earning. So glad I found this. I first heard about the CSR card on one of the deal sites last year (from what I could tell, a huge number of people signed up! ), but didn’t jump because my preferred Wells Fargo credit card gives me pretty good points for travel. This article is making me reconsider getting one, despite the lower sign-up bonus. When you add an just one authorized user account into the mix, you would need to spend $6,500 a year on travel and dining for the Sapphire Reserve to provide a better return than the Sapphire Preferred. Can you please explain the math to me on this? Sapphire Reserve costs $55/year more in annual fees with 0 authorized users. Add 1 authorized user and it is $75 + $55 — so $130. you need to make up $130 in value from earning points to offset that additional cost. $6,500 in travel+dining where you’re earning 1 more point per dollar and are getting and extra .25 cents/point in value is where you get it.